The newly-appointed chief executive of industry body Association of Mutual Funds in India (AMFI) is looking to hit the ground running. Within days of his appointment, he announced his intention to crack the whip on the blatant mis-selling of mutual fund products to retail investors. However, his ire has been misdirected towards distributors, largely ignoring the role played by asset management companies (AMCs) in pushing the distributors to sell products aggressively. 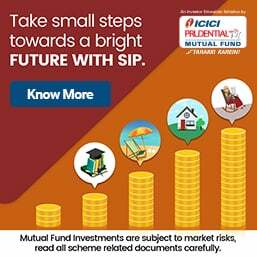 In a recent interview with Business Standard, HN Sinor, the new chief at AMFI, acknowledged that mis-selling runs rampant in the mutual fund industry and that small investors were being short-changed on a regular basis. Announcing that this situation needed to be addressed on a priority basis, he indicated that distributors engaged in mis-selling should be suspended from selling mutual fund products. While it is heartening to see that the new chief of AMFI has taken up arms against mis-selling, it would be unfair to tie the noose around distributors’ necks. This is very simply because distributors don’t manufacture products. Neither are they responsible for shoddy performance of the majority of mutual fund schemes. If anything, it is the AMCs of mutual funds that are promoting mis-selling in a bid to generate more business. Distributors are merely being lured into the high-stakes game being played by such AMCs. 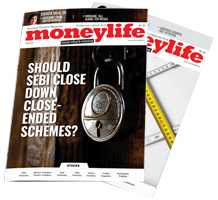 Moneylife has previously written (see here) about how large AMCs are wooing distributors to sell their products more aggressively by organising lavish junkets for those who meet their business targets. It is this aggression that may lead to mis-selling. Indeed, has anybody ever come across any mutual fund company pulling up any distributor for mis-selling? The irony is that if there is any segment of distributor that indulges in mis-selling it is the industry where Mr Sinor has worked for decades—the banking industry. “Banks mis-sell products involving large sums of money under false representation. They rely least on the strength of the product and requirement of investors. They are constantly abusing their trusted relationship with depositors. There is a need to regulate AMCs and bank distributors more,” he added. Small distributors are also feeling the heat after the no-entry load ban imposed by SEBI last year. In such a scenario, they are under pressure from the large distributors who are leaving no stone unturned to grab their business from under their nose. In the race to fight for their very survival, small distributors are not thinking twice before selling fund schemes blindly to investors. It is time AMFI realised where the root cause of the problem lies. It has come under a lot of fire recently for being a toothless body with no concrete measures or actions for improving industry standards. It has largely done nothing significant to standardise any of the practices. Mutual fund prospectuses are a shame compared to the IPO prospectuses. If AMFI wants to bring about some positive changes, AMFI must look within. It has a lot in its plate to start with. Accord Financial Services ARN 25741 doing business from his employees and charging broking fee from clients but unfortunately no emplayees are AMFI Certified.. even they send so called mail to his clients like switch-out from small cap- large cap funds" client bear loos and broker enjoy brokrage. they don't have any single employee in research. Here it is easy to shift the entire blame on the product manufcturers. Investors generaly repose confidence on their consultants to abreast them on the happenings of the market and to suggest products/schemes commensurating with their profiles. The onus is very much on the distributiors to gauge the suitabilty of any aveneue without any bias or vested interest what soever it is. This business is more of realtionship and trust. Neither of us enjoy any monopoly status but if the distributors really want to enjoy one, they have better chance than the product providers who hardly interact with their investors. Manufacturers (Insurance or MF Cos) are just asset gatherers they will do what’s best for them. They earn their income from how much assets they have rather than how that money performs. No one cares about investor. Investors have to learn it. Both distributor & manufacturer are not on their side. Why not take mandate from AMCs ; that if they sell x crore coverage in endowment plan they should sell at least 2.5 times ( or what ever appropriate) in TermPlan. I fully agree with you and thank Money Life to put forward its views bravely. I also appreciate the courage shown by your magzine with an impartial view on the industry state of affairs. Lot more can be done by AMFI at AMC end. Why such shady schemes are given green signal by AMFI and SEBI. SEBI does the vetting of the prospectus and they approve the schemes which are subsequently sold to investors. Why SEBI & AMFI collectively operate in concurence and put some controls. I think Mr.Sinor has forgotten that he was at the helm of affairs of an AMC and working in that capacity cannot comment in these sort of columns to gain publicity, everybody has seen how the AMFI has worked till now, and there is no point in blaiming the so called Distributor community, without knowing the ground reality, i would request the sebi chief to come out of his ivory tower and see the ground reality as to who is mis selling in the real terms, then he is most welcome to give these kind of comments. Hope the new amfi chief pulls up his socks and try to clean up the internal mess than giving lectures. Let him stem the rot and see to that some positive action is taken. ALL AMC LAUNCH SCHEMES OLNY FOR THEIR OWN BENEFIT NOT FOR SMALL INVESTORS . THEY LURE THE CORPORATE CLEINTS . RM ARE NOT CONCERNED , THEY SAY ......" FU** OFF U IDIOT "
EVEN ALL THE STAFF OF BANK IS NOT AMFI CERTIFIED BUT STILL ,SELLS MF & LI PRODUCTS , GET REWARDED TO . BANKS KNOW WHEN THE MONEY ENTERS A CUSTOMERS ACCOUNT , THEY BLACKMAIL CUSTOMERS . Main heros who deserve for this types of comments are N. D. AMC and Banks employees who. Stop them to work as IFA and then looks how mis-selling with checked. How ND & Banks employee are fully trained and educated with updated with latest financial market. Educated them with ethics of marketing and responsibilities towards society. What if, it happens , who will give bribe to AMFI Chief. I think AMFi's New Chief plus old Chief were not aware about the market. Who propogate to Distributor to so, if any. I am not have the same opinion with new and Ex Chief of AMFi. This types of cooments could not push the industry related with there job. they know only bribe, as some % of Commission. He must try to find the reason behind that , if any. if amfi chief will work as a ifa for a minimum three years, then he has right to blame. if he is interested for investors' benifit, first separate mutual funds selling from the bank roof.bankers should not allow for m.f/l.i. business. n.d.'s emploee are cont. basis with without amfi licence.setup a vigilance unit at every district to receive the complain. be friendly with ifa for benifit of mf industry. Quick service restaurant chain Domino's Pizza on Thursday said that within three years, its Indian operations would be among the top five global markets for the company, reports PTI. "India currently is one of the fastest-growing markets for us and ranks among the top ten in our global list. Within the next three years, India will be among our top five markets," Domino's Pizza president and chief executive J Patrick Doyle told reporters in New Delhi. Mr Doyle, global head of the chain, is on a visit to India. Today, he inaugurated the 300th outlet of the company in the country. The outlet in Delhi is also the 9,000th Domino's Pizza store globally. "India currently contributes to around 1.5% to 2% of our annual global sales of $6 billion and we expect (a) substantial jump in it. Even during the economic recession, India was a growth story for us," Mr Doyle said. With 65 new outlets this fiscal, he said, the company registered its biggest expansion in India among all its operations. In India, the Domino's brand is operated by Bhartia Group-promoted Jubilant Foodworks under a master franchise agreement. Mexican billionaire Carlos Slim has emerged as the richest person in the world with $53.50 billion in assets, while Indian industrialist Mukesh Ambani ranks fourth with $29 billion in the US magazine Forbes annual list of world's top billionaires, reports PTI. Mr Slim is followed by William Gates III (popularly known as Bill Gates) with a net worth of $53 billion and Warren Buffet at the third spot with assets worth $47 billion. Non-resident Indian (NRI) billionaire Lakshmi Mittal with a net worth of $28.70 billion ranks fifth while Mukesh's younger brother Anil Ambani is at the 36th spot with $13.70 billion. There are 1,011 billionaires in the world now, up from 793 a year ago. Mr Gates has held the top spot for 14 of the past 15 years in the past. "The Microsoft founder is now worth $53 billion, up $13 billion from a year ago," Forbes said. There are just two Indians in the list of top 10 richest persons across the world. The only woman to be on the top ten list, at number ten, is German entrepreneur Karl Albrecht, who founded the Aldi supermarkets and has a net worth of $23.50 billion. The United States has 403 billionaires—the most in the world, followed by China that beat out Russia to grab the second spot. Although China has larger number of billionaires than India, ten of Asia's top 25 are Indian while China has one. Hong Kong and Japan each have five and China has one in Asia's top 25. New York has more billionaires than any other city. The youngest billionaire who has a net worth of $4 billion is 25-year-old Mark Zuckerberg who created Facebook. The list of Indian billionaires include Mukesh Ambani and LN Mittal in the top two along with Azim Premji ($17 billion), Anil Ambani ($13.70 billion), Shashi and Ravi Ruia ($13 billion), Savitri Jindal ($12.20 billion), Kushal Pal Singh ($9 billion), Kumar Birla ($7.90 billion), Sunil Mittal ($7.80 billion) and Anil Agarwal ($6.40 billion).